Japanese Prime Minister Shinzo Abe said Tuesday his government has demanded South Korea's National Assembly speaker retract remarks seeking an apology from Emperor Akihito to end a protracted bilateral spat over women forced to work in Japanese wartime military brothels. "I was astonished. We've immediately conveyed through diplomatic channels that the remarks were extremely inappropriate and deplorable," Abe told a parliamentary committee, referring to Moon Hee Sang's comments made to U.S. media last week during an interview that included the "comfort women" issue. The Japanese government has lodged a "stern protest" with Seoul and demanded an apology, Abe also said. The speaker's remarks have fueled anger on the Japanese side at a time when bilateral ties are already marred by disputes over wartime issues and recent military incidents. Moon showed no signs of backing off, reportedly reiterating the need of an apology from "a leader in a responsible position in Japan" to South Korean media on Monday in Washington. During the interview by Bloomberg news service on Thursday, Moon called Emperor Akihito "the son of the main culprit of war crimes" apparently because his father is Emperor Hirohito who reigned before and during World War II. "If a person like that holds the hands of the elderly former comfort women and says he's really sorry, then that one word will resolve matters once and for all," Moon was quoted as saying when asked how South Korea and Japan can end their long-running disputes over wartime history. The South Korean government has told Japan that the report did not reflect Moon's "true intentions" to seek an improvement in bilateral ties, Japanese Chief Cabinet Secretary Yoshihide Suga said in a news conference Tuesday. The 85-year-old emperor is scheduled to abdicate on April 30, the first living Japanese monarch to do so in about 200 years. Emperor Akihito succeeded to the throne under the postwar pacifist Constitution, which largely reduced the role of the emperor to a symbolic one with no political power. Speaking to South Korean reporters in Washington on Monday, Moon said Japan has apologized many times, but they have not been "sincere." 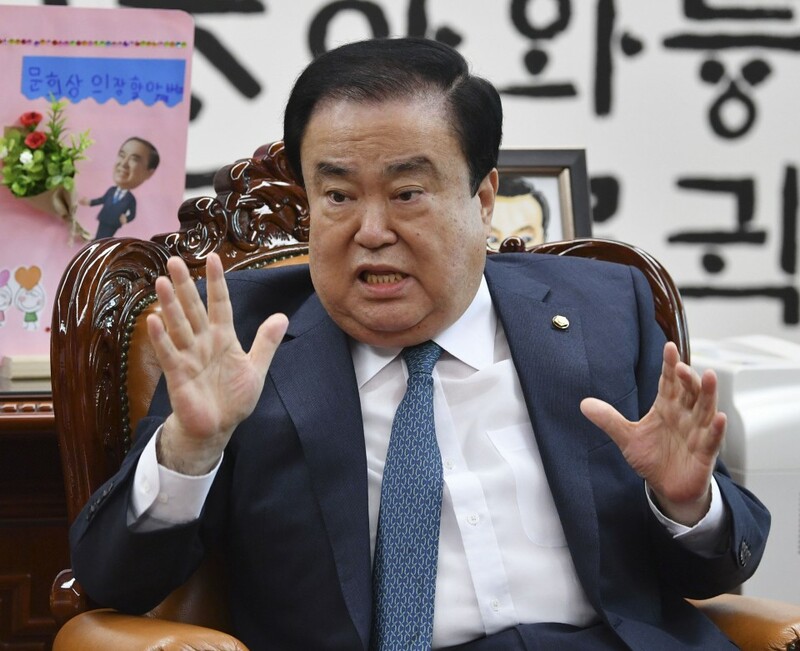 He also said he does not want unnecessary controversies to happen between the two countries, according to Yonhap News Agency. 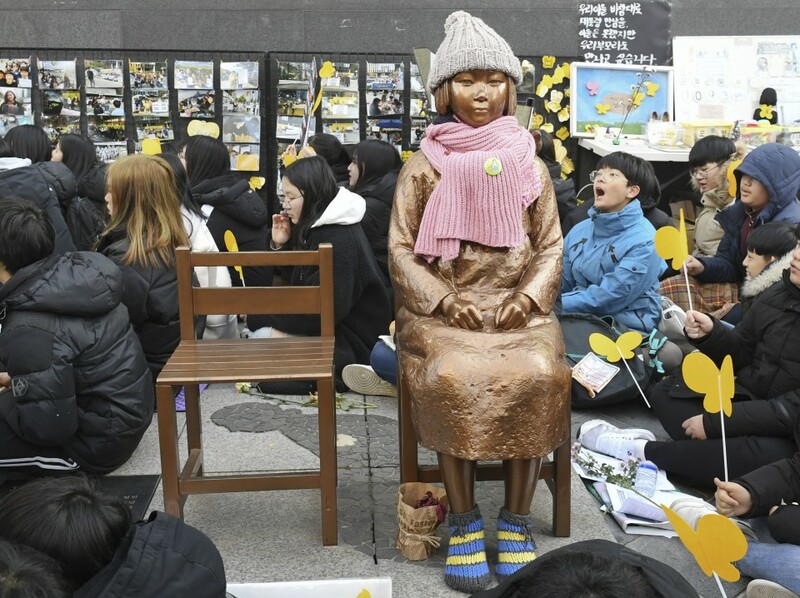 A standoff over the "comfort women" issue has been intensifying after South Korea said in November last year that it will dissolve a Japanese-funded foundation set up under a 2015 agreement designed to finally and irreversibly settle the issue. Bilateral ties have also soured over a dispute over a South Korean navy vessel's alleged locking of fire-control radar on a Japanese patrol plane in December and South Korean top court rulings ordering Japanese companies to compensate over what they recognize as wartime forced labor during Japan's 1910-1945 colonization of the Korean Peninsula. The Japanese government on Tuesday again urged Seoul to respond to its request to launch bilateral consultations to resolve a dispute linked to one of the top court rulings involving Nippon Steel & Sumitomo Metal Corp. The major Japanese steelmaker has not followed the compensation order and then was notified by a South Korean district court of the seizure of its assets on Jan. 9. Tokyo maintains the issue of compensation was settled under an agreement attached to the 1965 treaty that normalized ties between Japan and South Korea, and views the ruling as a breach. Seoul has not made clear its stance over the consultations that were requested on the grounds of the 1965 agreement, even though Tokyo had set the deadline for the answer last Friday.